Lollapalooza has revealed the 2018 lineup for its Latin American festivals in Brasil, Argentina, and Chile. Pearl Jam, Red Hot Chili Peppers, The Killers, Chance the Rapper, LCD Soundsystem, and Lana Del Rey top the impressive bill. 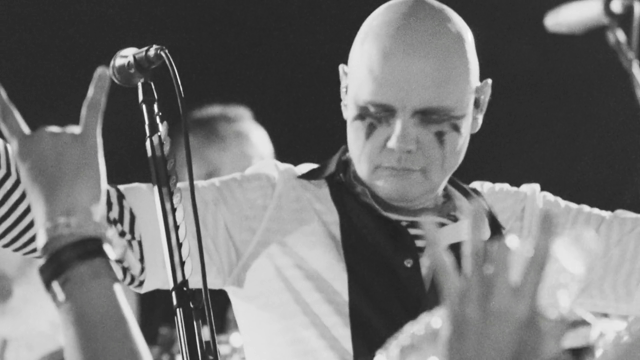 Other notable acts include The National, Liam Gallagher, David Byrne (! ), Imagine Dragons, Royal Blood, Anderson .Paak & The Free Nationals, Tyler the Creator, Mac Miller, Spoon, Mac DeMarco, Metronomy, Volbeat, Wiz Khalifa, Oh Wonder, What So Not, Kaleo, Kygo, Milky Chance, Galantis, and more. Lollapalooza Chile takes place March 16th-18th at O’Higgins Park in Santiago. Lollapalooza Argentina goes down concurrently at Hippodromo de San Isidro in Buenos Aires. 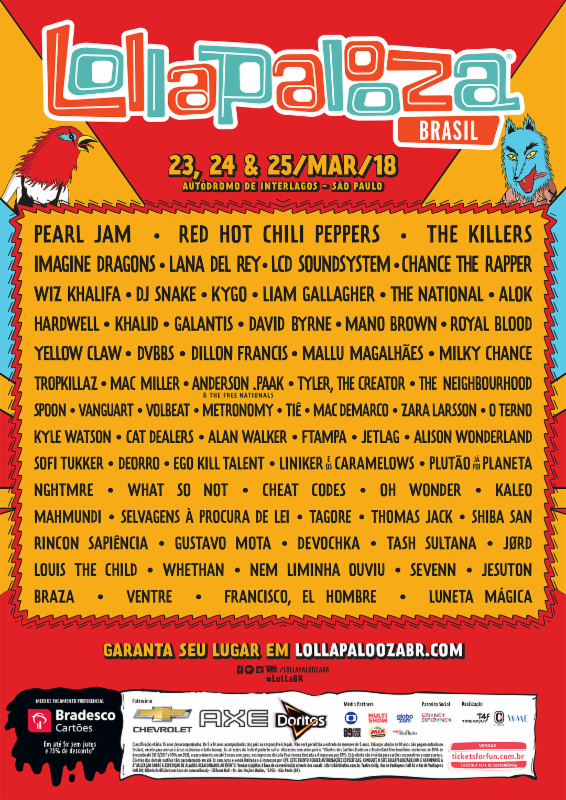 Lollapalooza Brasil runs from March 23rd – 25th at Autódromo de Interlagos in São Paulo.